This article continues on from Part 4 - Up and Running. With most of the FPGA side of XulaBee now sorted, I thought I'd take a closer look at the audio side of things before attempting to fix the PCB design. 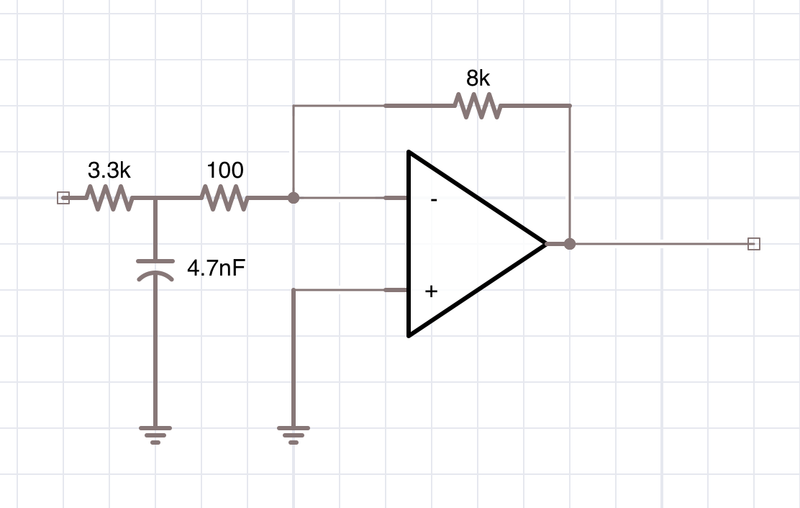 Single bit output connected to a speaker. Parallel port DAC - 8 bit audio driven by a resistor ladder connected to the parallel port. Beethoven Sound Generator - based on the AY-3-8910 chip connected through the parallell port. The single bit speaker output is really trivial and I've written before about this. For the other's though I'm going to need some sort digital-to-audio converter, aka DAC. While there are a number of audio DAC Pmod's available, I figured something simpler would suffice for the humble 8-bit audio requirements of the Microbee. A Sigma-Delta DAC uses a single digital output to generate an analog output. It does this by outputting 1's and 0's in proportion to the level of the desired analog output, which is then filtered with a low-pass filter to produce the final analog output. For FPGABee's implementation I used the same VHDL component and sample circuit as described on fpgaarcade.com and connected it to a set of iPhone headphones. Microbee's that had the optional sound chip had it connected to ports 0x10, 0x11, 0x12 and 0x13 (all 4 ports behave the same way). I was going to write my own implementation of the sound chip but found this excellent implementation. and managed to get a reasonably clean signal into my PC. It only works on the Microphone input at the moment - I'd like to figure out how to get a line-level signal, but haven't looked into it yet. Eventually I'd like to do an implementation of the Beethoven sound module, but for now I have enough to sort out the circuitry for XulaBee's PCB before getting it made. Building XulaBee continues with Part 6 - Revised PCB.